Well, less is obviously not good, when it comes to washing the face. But ‘more’ is even worse as it upsets the water balance of the cells. Too much washing makes the skin extremely dry and irritated by stealing its natural moisture while removing dirt and oil from the pores. This stimulates the oil glands present in the skin to produce more oil which eventually causes more acne. The habit of scrubbing the face hard during washing also leads to overdrying as well as cell damage, thereby promoting breakouts. 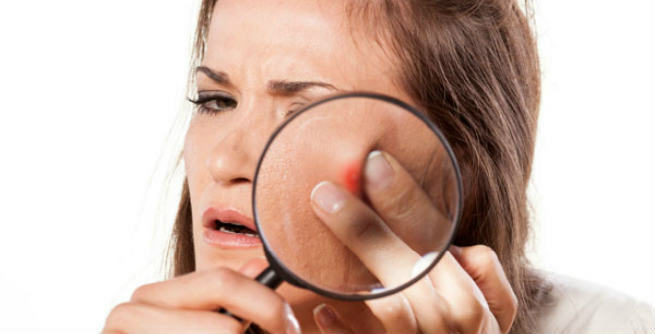 Frequent washing of face can increase the bacterial infection to such an extent that you may develop ugly acne scars. Do not wash your face more than twice a day – once in the morning and once at night. It is the first and foremost rule that you need to follow. If you ever feel that your face is getting dirty or sweaty, a couple of additional washes may be necessary. Make sure that your hands are clean prior to washing the face. It is recommended that you cleanse your hands right before touching your face and cleansing it. Never ever use a soap or cleansing product that is harsh to the skin. A mild soap or cleanser is always the best. Try to splash fresh cold water on the face during washing. Also, move your fingertips in circles for maximum cleansing and be gentle while patting the skin dry. Stop using abrasive exfoliants during the cleansing of your face. It will irritate your skin to a large extent and worsen the existing acne by tearing off their crests as well as increasing inflammation. Choose a good moisturizer for your skin and apply it onto your face each time you wash it. It is a must, no matter whether you have a dry, combination or oily skin. A gel-based moisturizer will be the best choice for oily-skinned beauties, while girls with dry skin should opt for cream-based ones. The moisturizer should be non-comedogenic. Or else, it will clog your skin pores, which you have just opened by cleansing.